Myles Mellor, the premier creator of custom crossword puzzles, was a sponsor at the annual summit meeting of the California Newspaper Publishers Association in April this year. Presenting a selection of his custom crossword work as well as his syndicated puzzle offerings, Mellor was a popular vendor at the show. Over the past 10 years, Mellor has written custom crosswords for a large number of Fortune 500 clients, major websites, influential magazines and media outlets covering hundreds of different interests for use in advertising campaigns, conferences, educational purposes and entertainment. Winning a Silver Midas Advertising Award in 2010 as a Puzzle Designer, Mellor worked with MasterCard and MacLaren McCann to create a series of custom crosswords for the major Canadian newspapers which were released on long summer weekends as part of a promotion for MasterCard’s Paypass Card. The campaign was a major success. Mellor has written custom crosswords for Turner TV, American Airlines, Chicago Tribune, NASDAQ, Oracle, IBM, History Channel magazine, Entrepreneur, Coastal Living, AARP, Vibe, Computer World, Financial Executive International, America’s Community Bankers, The Daily Fashion, Dwell, Meetings Professional International, Interval International, International Watch, Fox’s Speed TV (NASCAR crosswords), SAP, Linux, Conde Naste UK, The Guardian, Costco, American Girl and many many more. Mellor works with Bob Williams, a veteran and expert developer, who heads up http://www.igamebank.com in creating custom crosswords for websites as well as for iPad apps. 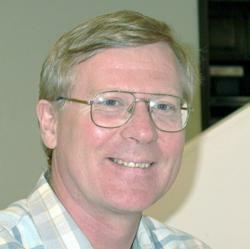 David Hoyt, the celebrated puzzle writer and inventor from Chicago, is a consultant and advisor to the company. In addition to the custom crossword work for major corporations, Mellor has also found time to create them for birthdays, Christmas cards and even marriage proposals. If you are interested in further information about custom crosswords and how you can use them in your business or for personal projects, Myles Mellor can be reached through http://www.themecrosswords.com and at 818 522 4126.